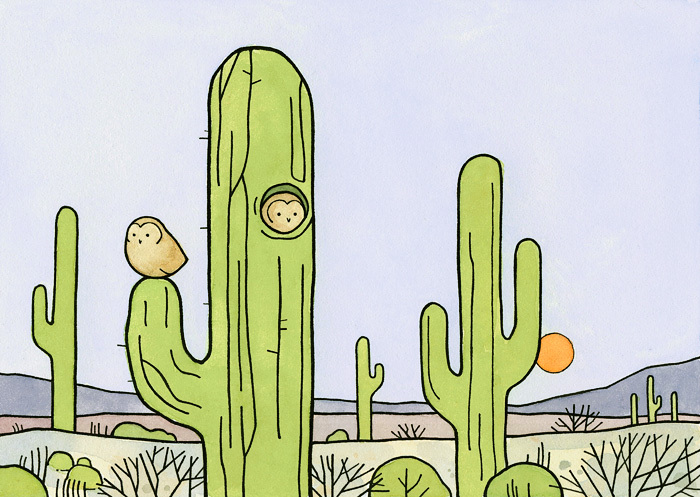 A Southwest desert landscape with Cacti and Elf Owls. Lovely. 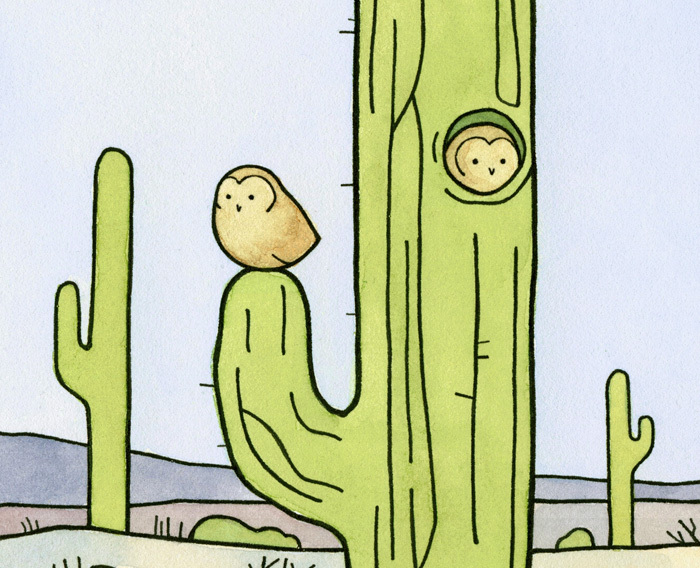 Elf owls might be my favorite of them all. Cool! Don’t worry, there will be some more of them. Thanks for visiting my blog… I love your mixture of paintings and real photos! Great stuff, I will definitely come back for more. Likewise! I am also an avid birder and very much enjoyed your notes and photos.